• Technomousse doesn’t break or get cut and has no due date. • The materials used are totally innovative and different from the products of other brands. 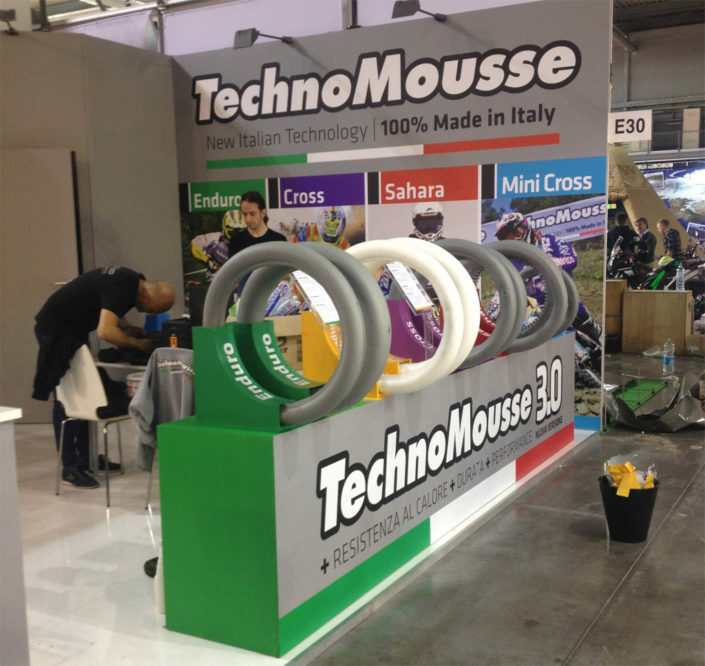 • The degree of hardness of the mousse varies depending on its use and temperature. • The mousse reaches its maximum elasticity after some minutes of use (the amount of minutes taken can vary depending on the exterior temperature). When at rest the mousse goes back to the original hardness. 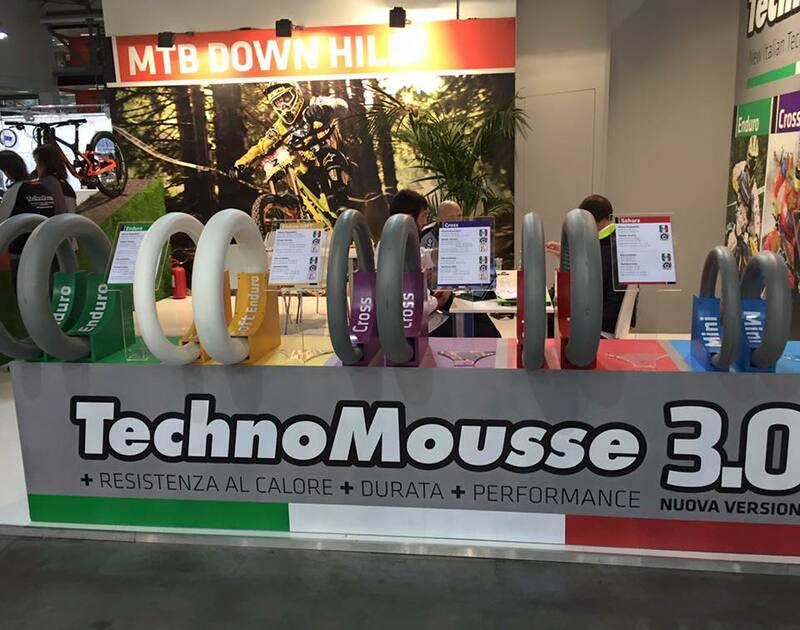 • After its use we recommend all the users to leave the bike at rest over a central bike stand for at least 45 minutes in order that the mousse gains back its original hardness. 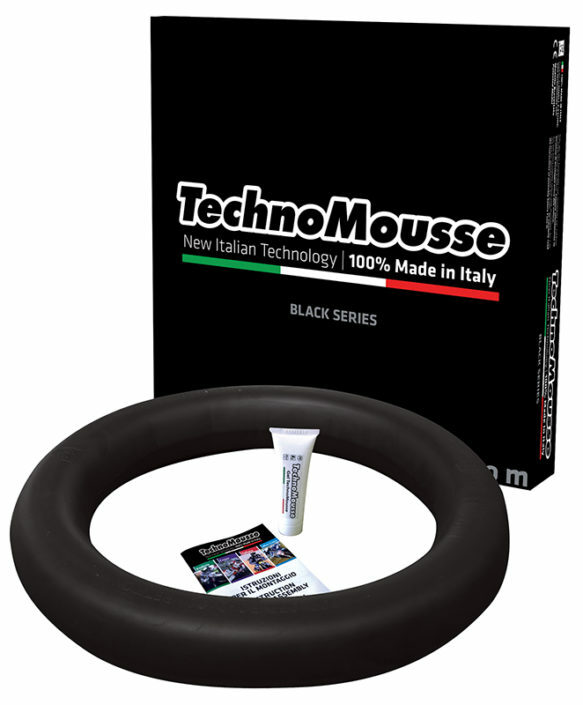 • We suggest users to use the tyre spinning stopper for the rear mousse. • The mousse are not homologated for public asphalt road use. The use it is prohibited in asphalt road, and the company don’t have a responsablity if you use in asphalt roads. • The Technomousse being made from a very elastic material, during its use it adapts and fills the entirely the space between the tyre and wheel. 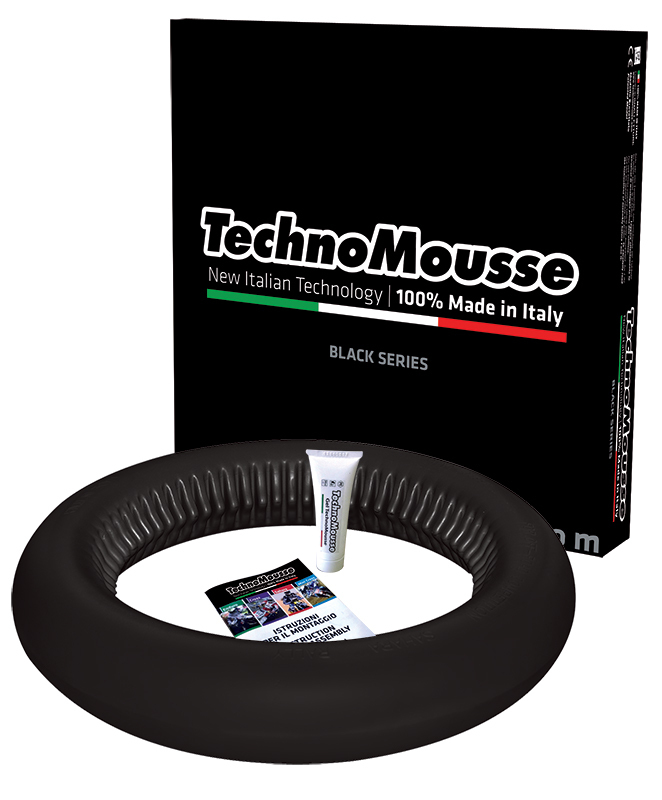 During the substitution of both the front and rear tyre you will find the mousse in a different final shape. After the substitution with a new tyre the mousse will again adapt to the new tyre.